A pergola adds visual beauty to a home and furthermore increases the outdoor living area that can be used all year round. While the structure might not protect you from the harshest of elements, it provides shade on hot summer days and combines indoor and outdoor space. 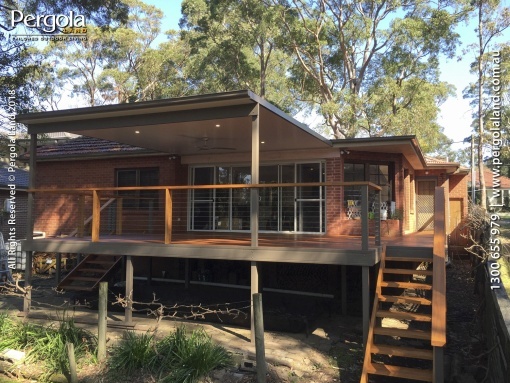 Once you have decided you want a pergola or deck of your own, you might be stuck on deciding if you want to build the structure yourself or hire a professional pergola builder Sydney. Building a pergola requires quite a bit of craftsman knowledge, a lot of measurements, placement considerations and material knowledge; hence a lot of homeowners tend to hire a contractor. If you still consider giving the pergola construction a go yourself, we have put together some useful tips for you before you put the hammer to nail. Putting a pergola together can be a complex process especially if you are not a crafty person. Choosing the right DIY design on the Internet, understanding the instructions and getting all the materials can be a challenge, but at the same time a satisfying and liberating experience. Making all the decisions yourself allows you to design your very own unique pergola and can unleash a level of creativity that might not be possible in your workplace. Nevertheless, the same reasons that make a DIY pergola appealing are those, which make the project challenging as well. While you have creative freedom to build the pergola you want, you still must make sure that it is a viable plan. Not every DIY pergola plan off the Internet will provide you with ideal results, and if issues arise during the construction process, you are on your own or at the mercy of friends if they are willing to help you. Even though building the new addition to your house is a great occasion to teach your children handyman skills, one of the main reasons why you should consider hiring a professional pergola builder is safety. If you are not experienced with all the necessary power tools, your little project might turn into a dangerous work zone with severe consequences. After all, you want your pergola to be safe and sturdy for many years to come. Without relying on a professional who has the experience to not only design a structure that complements your home best but also knows exactly which material suits the environmental conditions of your local area best, DIY results can often turn into a poor investment. A professional company such as Pergola Land will be in the know of all rules and regulations and discusses permits with the local councils if need be. A professional will always custom design the pergola to make it a perfect fit for your home, arrange all the documentation and have the structure installed with a guarantee. All you have to do is sit back, relax and decorate the new outdoor living space once it is finished.